New data from multiple sources are increasing economists concerns of an economic downturn within the next two years – perhaps even later this year. The latest readings on consumer confidence/sentiment and existing home sales show sharp downturns, sparking new debates on the real health of the economy. Emerging data is causing no small amount of consternation among economists, many of whom had been nervously watching for what is an undeniable certainty – an approaching recession. Like Newton’s Law, in the world of the economy, what goes up MUST come down. The wild upswings of the stock market don’t by themselves obviate the reality of an impending crash…sometime. 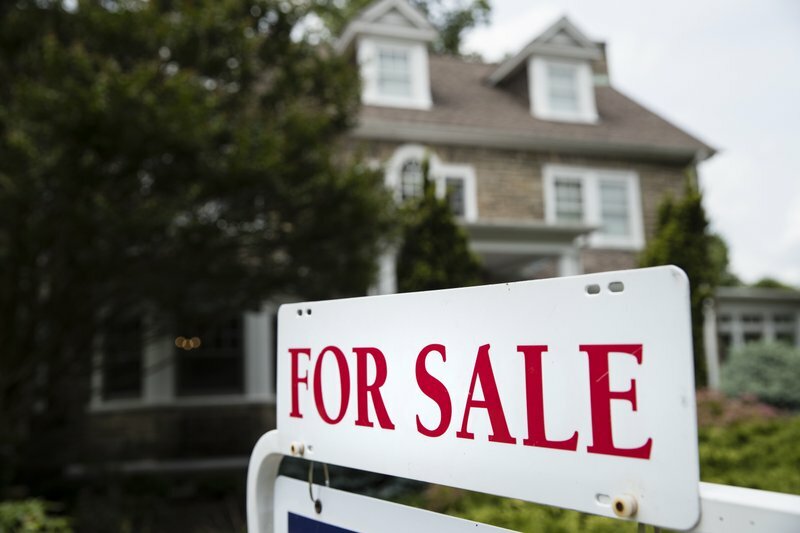 New numbers showing a precipitous drop in the sales of existing homes, and a major drop in a respected indicator of consumer sentiment, has driven a noticeable uptick in the nervous talk of recession among economists. 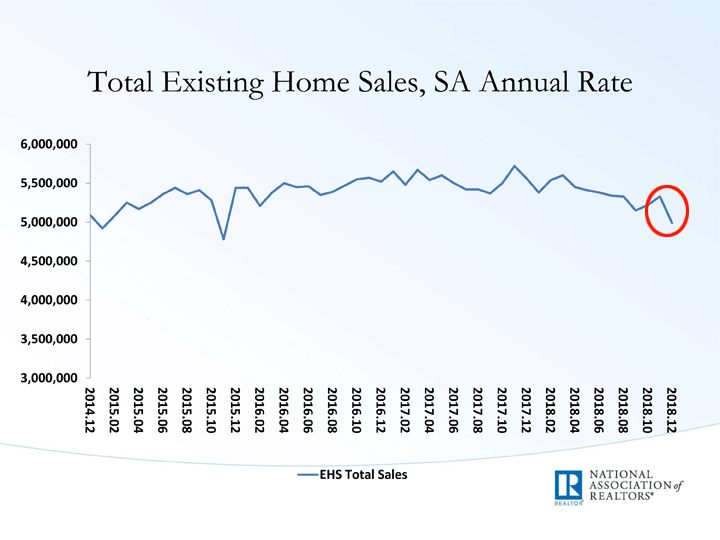 The National Association of Realtors announced this week on Tuesday that sales of existing homes had declined in the month of December 2018, down 6.4% from the reading in November. This decline, the NAR says, hit all regions in the country. The new reading from the NAR, that 4.99 million units were sold, includes single-family homes, townhomes, condominiums, and co-ops and is down fully 10.3% from the rate of 5.56 million units in December 2017. Perhaps even more impactful than that, however, is the news of a major downturn in consumer sentiment as recorded by the long-running University of Michigan (U of M) survey. According to their regular ongoing survey, consumer sentiment in the U.S. fell to a reading of 90.7 in January, down – way down – from December’s reading of 98.3. This is a significant one-month swing, and came in well below the reading of 97 expected by the market. According to U of M, this is the lowest reading in their survey since October 2016. And that rate of decline is the steepest in more than three years – since September 2015. 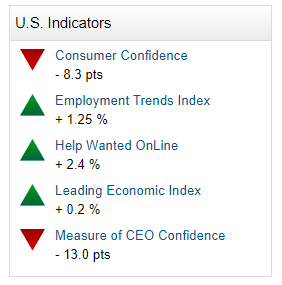 You don’t have to look too closely to see a big problem on this reading of consumer sentiment, which declined by 7.6% in just one month in January 2019. Why the big decline? U of M points to survey takers’ feelings about the prospects for the domestic economy. The survey component that looks at the year-ahead outlook for the economy was “judged the worst since mid 2014,” according to U of M.
Economists tend to watch the consumer market closely, as consumer spending accounts for about 70% of the gross national product. If consumers feel concerned about the future, they will typically build savings by cutting back on spending. This new reading on consumer sentiment by the University of Michigan, reinforces a previous report on consumer confidence by The Conference Board. This equally long-running survey showed an 8.3% drop in their index reported at the end of December – also a significant monthly decline, that followed a smaller decline in November. 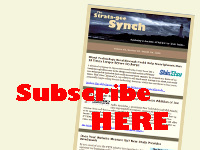 I first began to warn Strata-gee readers of a turn in several key economic indicators in August 2018. And while there have been some positive reports – for example a recent report showed an increase in manufacturing activity – a wide range of housing and consumer reports suggest trouble ahead. Given housing’s role in the last recession…it pays to keep a close eye on this industry which is fundamental to the overall economy.